Over the last five years I've become pretty adept at making sour beers, but a great homebrewed Lambic has always eluded me. My first batch was one of the worst beers I've ever brewed, and the second (while drinkable) wasn't that close to the style. In a couple weeks I'll be brewing my fifth Lambic (and the first to be spontaneously fermented... I hope), so it seemed like a good time to check in on my third attempt. The beer I have in front of me was brewed nearly two years ago. That sunny June day in Massachusetts was my first time executing a turbid mash (my first two shots at the style used the WYeast Lambic cereal mash). The results were well worth the extra effort, the overall character of the beer is much closer to the commercial versions of the style than my previous batches were (although it is still a bit light on the acid). The turbid mash provides more complex dextrins and starches that the Brettanomyces needs for its long, slow fermentation. This beer received a long boil (more than five hours) with low alpha acid hops (historically some Lambics were brewed with 50% aged hops and 50% fresh low AA% varieties, before those varieties were displaced by high AA% cultivars). I aged the beer on the primary yeast cake for 15 months before bottling (two gallons of this batch are still sitting on Cabernet grapes in secondary). Appearance – The beer starts foaming as soon as the cap is removed. Pours a cloudy golden-yellow. The carbonation is strong enough that it stirred up the sediment making the beer hazier in the glass than it was in the bottle. The head is composed of coarse white bubbles; moderate-low retention despite the strong carbonation. Smell – It has that great classic “Lambic” nose: funk (farmyard, damp basement), fresh lemon/grapefruit rind, minerals, and a bit of wheat. As it warms there is a slightly cheesy aroma that surfaces (in a good way). The Brett strains did their job admirably. Taste – The flavor has a lot of the same complexities as the nose, especially the grapefruit pith and farmyard Brett. The acidity is soft and mellow (like fresh squeezed orange juice). The sourness is approximately 1.5 notches short of where I'd like it to be, but in reality it isn't too far away from the gentler vintages of Drie Fonteinen Oude Gueuze. Mouthfeel – Light and spritzy, really nice. Luckily the mouthfeel does not come off as tannic despite the hot sparge (the long boil and aging supposedly help to prevent that). Drinkability & Notes – I'm really happy with how this batch turned out. It certainly would have been a good candidate for blending with a sourer sour, but I didn't want to dilute that great funky nose. I just sent a bottle of it to the National Homebrew Contest (Tennessee region), although I added a few drops of food grade lactic acid to get it more on target with the style guideline. I decided to drink the beer out of the Lost Abbey glass that my Heather Gruit won for me a few days ago in a local competition (although really it's just a filmy pretext to mention that if you haven't read Tomme Arthur vs The World it is the funniest web comic I've seen outside of an xkcd in awhile). Good work, it sounds great. What did you use as a fermentor for all that time? It involves a lot of standing over the pot and stirring, not a fun activity on a muggy summer day. The beer sat in a 6 gallon Better Bottle with about a gallon of head space while it was fermenting/aging. Was all that head space in the fermenter deliberate - to allow more oxygen contact? Or merely incidental. Also, with headspace like that were you careful to not disturb the beer, say by taking a gravity sample with a wine thief? The head space was just a result of the fact that to have a primary fermentation you need to leave some space. I could have topped off, but as long as the airlock stays attached you won’t be exposing the beer to any additional oxygen. A sample every few months won’t hurt the beer, but I would certainly avoid opening the bung more than once a month. Time to start blending Mike. 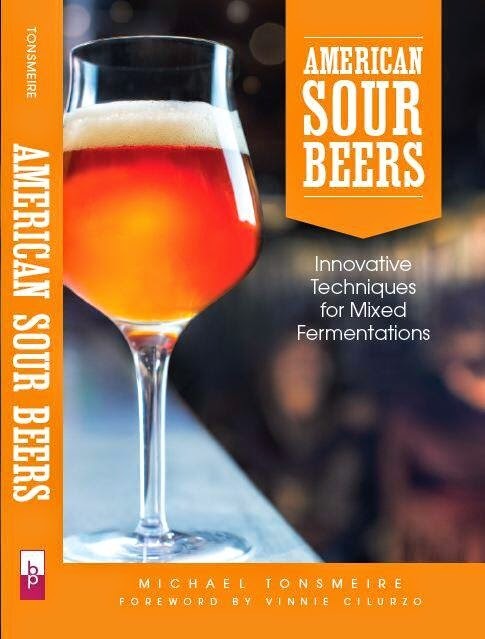 I've found that it can turn a mediocre sour into something much more complex. Hope my Gueuze does well in the NHC too - maybe we'll compete in SD. what made your first lambic "terrible?" It took about 4 days to start fermenting and never tasted quite right.